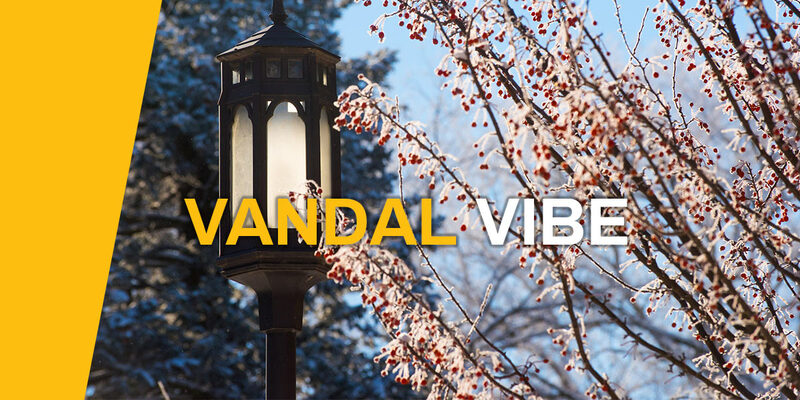 Delivered to email inboxes bi-monthly, Vandal Vibe is how alumni stay connected to the University of Idaho. 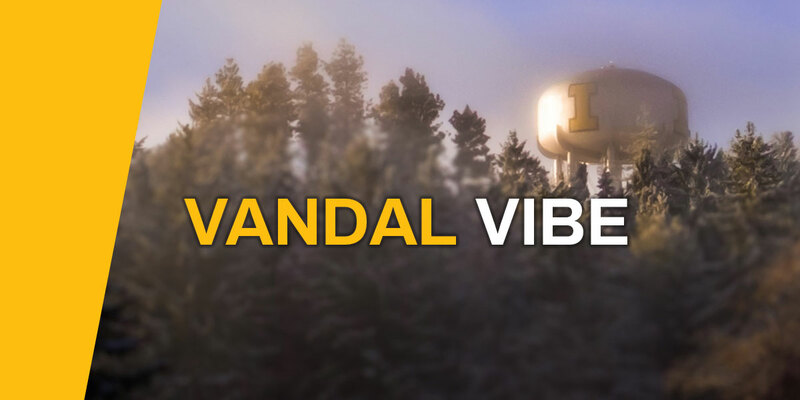 If you would like to receive the Vandal Vibe, email your name and preferred address to vandalvibe@uidaho.edu. Happy 2019! I hope your holidays were happy and relaxing, and that you have been much better at keeping your New Year’s resolutions than I have. Some may consider January through March long, dark, dreary months, but if you are a Vandal, the fun really doesn’t stop when the new year starts. We have so much to celebrate it can’t be limited to a single season of the year. The University of Idaho Alumni Association’s annual Silver & Gold Award Celebration will be held Jan. 24 in Boise and is always a wonderful gathering of the Vandal Family. We also have the Vandal Scholarship Fund Gala to look forward to on Feb. 7. This year’s VSF celebration – thanks to a volunteer committee led by dedicated alumnae Mallory Cook and Heather Stegner – promises to be one of the best. In addition to a gourmet meal at an elegant venue with your fellow Vandals, the evening includes both silent and live auctions featuring a wide range of items, services and experiences. The gala is one of the primary fundraising events held by VSF – every dollar raised helps to support our student-athletes.Details about the gala and how to register are available here. Alumni and VSF members in the Magic Valley also are gathering to benefit student-athletes. This year’s WinterFest will be held at the Stonehouse in Twin Falls on Friday, Feb. 8. The social and silent auction begin at 6 p.m. with dinner to follow at 7 p.m. This is a family friendly event. More information the event and how to RSVP is available by contacting Nathan Jerke at jerke03@hotmail.com. Both events promise to be great fun for a great cause. I hope to see you there. In 2019 the University of Idaho will have new leadership. The screening committee has been working, and applications are coming in. The committee met in December to finalize the dates and process for providing the Idaho State Board of Education five candidates to interview and evaluate. From this group, the new university president will be hired. By Feb. 12, the committee will evaluate all candidates and then work together to narrow the applicant pool to the top 10. The committee will conduct interviews and recommend five finalists for the position. These five candidates will visit the Moscow campus and interact with faculty, staff, students and leadership in late February or early March. The board will conduct interviews in late March and select the new president. The position profile and other search information is available on the presidential search website. Feedback on the candidates will be collected on the website after the visits. This is an exciting and important opportunity for the university, and we hope everyone will participate in the process. Thank you for your support of the University of Idaho. Throughout 2017-2018, with our Strategic Plan as a roadmap, the University of Idaho has continued to deliver confident and innovative leadership across our multifaceted mission. Our success is testament to the commitment and dedication of our students, faculty, employees, alumni and friends who believe in the work we do and the goals we’ve set. And we’ve made exciting progress. This report offers a chance to share our accomplishments over the past year and provide quantitative assessments of our programs. Calling all Vandal fans! Leave your mark on campus by designing the 2019 Game Day T-Shirt. These shirts are given to each incoming first-year student at our signature Vandal Walk, and are available for purchase at the Vandal Store. The contest is open to all members of the Vandal Family. Submissions are due February 27 to sarb@uidaho.edu. Cruise through the Inside Passage from Vancouver to Juneau aboard the exclusively chartered Five-Star, small ship Le Soléal. 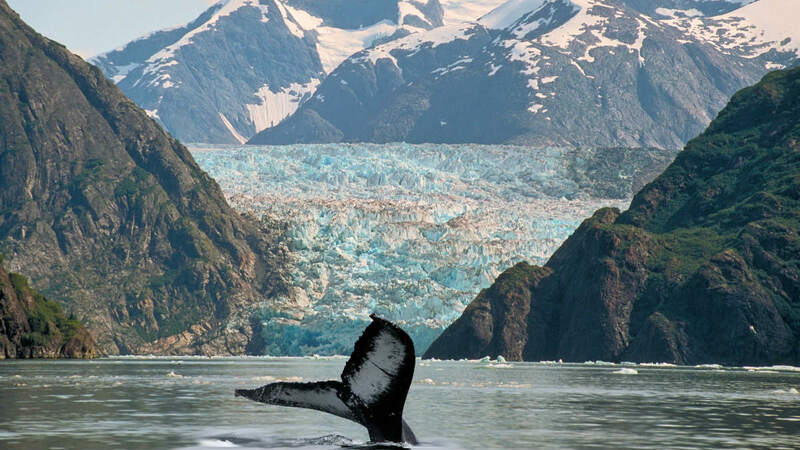 During naturalist-led Zodiac excursions and from the comfort of your own spacious, ocean-view accommodations, enjoy superior views of Alaska’s spectacular scenery and abundant wildlife. Experience unspoiled islands and fjords and historic gold-rush-era towns. Looking for a new career? Need help revising your resume? 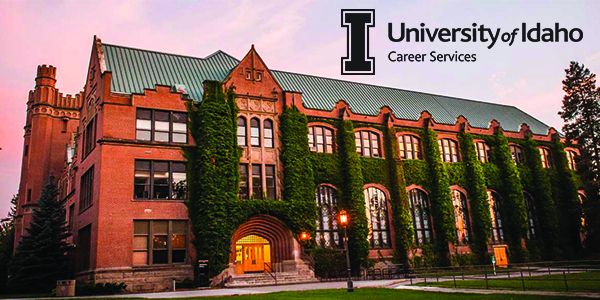 Alumni of the University of Idaho have lifetime access to the U of I Office of Career Services. Wherever you are in your career, we are here for you. Idaho Ties to Supreme Court Justice Ruth Bader Ginsburg and her biographic movie. 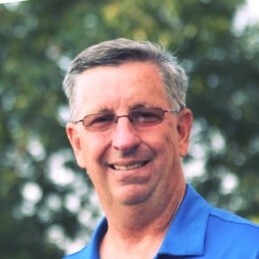 Alumnus Allen Derr '59. 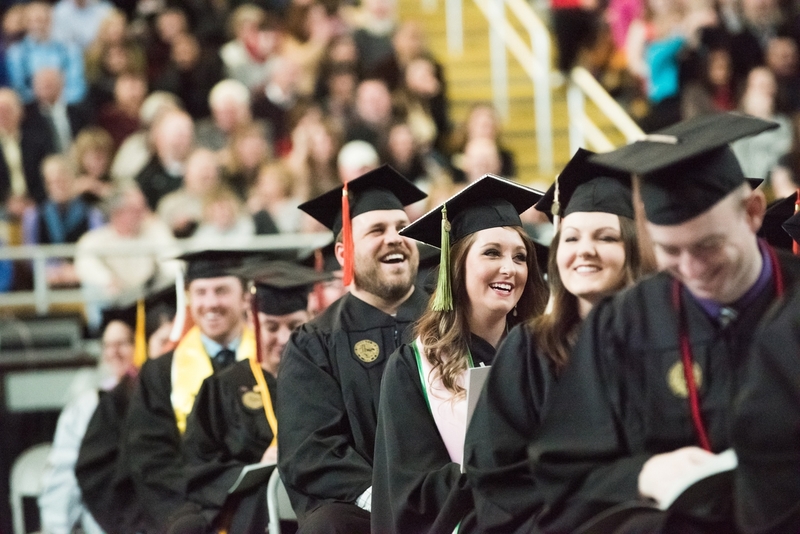 Alumni chapters nationwide await more Vandal grads. To join, simply contact a chapter volunteer. It is hard to imagine how the Moscow campus looked 130 years ago this week when the University of Idaho was founded. January on the Palouse means there probably was snow on the ground, gray skies and wind whistling through the prairie grasses. There was no administration building, no towering pines, no groomed lawns. And yet, the pioneers of the Idaho Territory saw the great potential to be realized by investing in the education of their children. Both houses of the Territorial Legislature approved “Bill No. 20” on Jan. 29, 1889; then-Gov. Edward Stevenson signed the bill creating the University of Idaho located in Moscow 130 years ago today, Jan. 30, 1889. A year later, the territory would become the state of Idaho. In a sense, the state of Idaho and the University of Idaho have grown up together, each supporting the other with resources, innovation and problem-solving. The impact of the university on the state’s economy – especially the stalwart sectors of agriculture, natural resources, mining and engineering – continues today. The impact of U of I on the heart and history of the state through the arts and social sciences also continues, capturing and celebrating the essence of what it means to be an Idahoan. 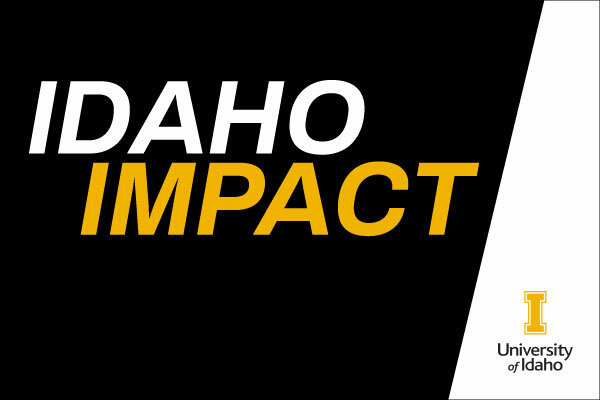 As Vandals, we can be proud of our role in Idaho’s growth and prosperity. Think of the generations of the Vandals who have received their degrees, and then returned to their Idaho communities to serve as teachers, farmers, engineers, inventors, reporters, miners, scientists, entrepreneurs, musicians, dancers and business owners. Think of the generations of Vandals who, because of their experience at our alma mater, have stepped up to serve on school boards, city councils and the state legislature and in the halls of the U.S. Congress. Think of the generations of Vandals who have raised their children to step up in the same ways in the future. So, happy U of I Founding Day! They don’t make a greeting card for the occasion, but it is definitely a day to take a moment and be proud and thankful to be associated with an amazing institution. Feb. 19 – Policy Pub, Washington D.C. There are many benefits of being in the Vandal family. For many, it’s the relationships forged on campus that last a lifetime. For others, it’s the support and encouragement of a global community. Still others enjoy the many opportunities to explore and discover their passions. 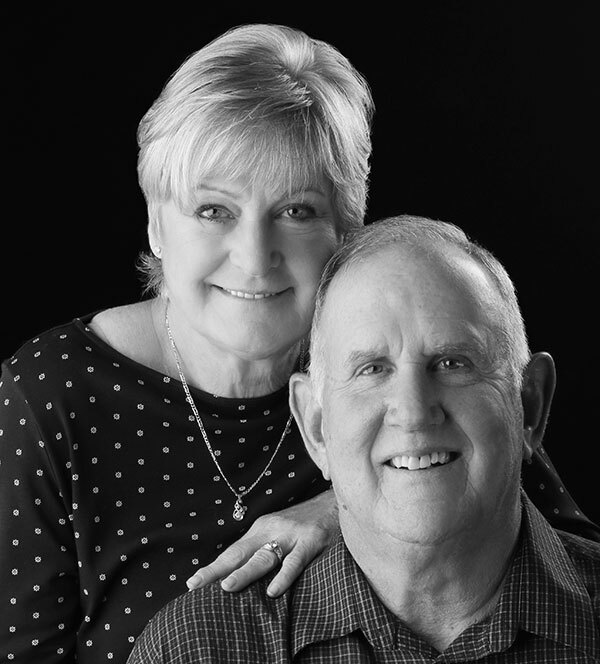 For Bob ’71 and Marcia ’71 Ross, it’s all of those — and more. You've likely traveled to far-off places to discover new things. Drop us a line about your achievements while you're out blazing trails, and we'll be here to keep the Vandal connection. 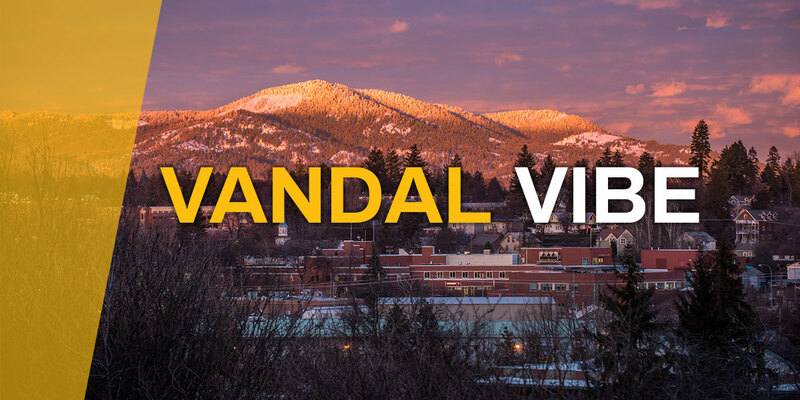 Whether you are exploring a new career, seeking a new opportunity within the same field or looking to expand your professional network and connect with fellow Vandals, the University of Idaho is committed to helping you achieve your professional goals. To that end, we are proud to offer the full breadth of Career Services that were available to you as a student for life. Alumni are encouraged to take advantage of our full range of services, which are designed exclusively for Vandal graduates. For example, if you are considering a career change or just need a professional tune-up, we stand ready to assist. Whether you are in Moscow, Idaho or Moscow, Russia, we will work with you to maximize your professional potential. 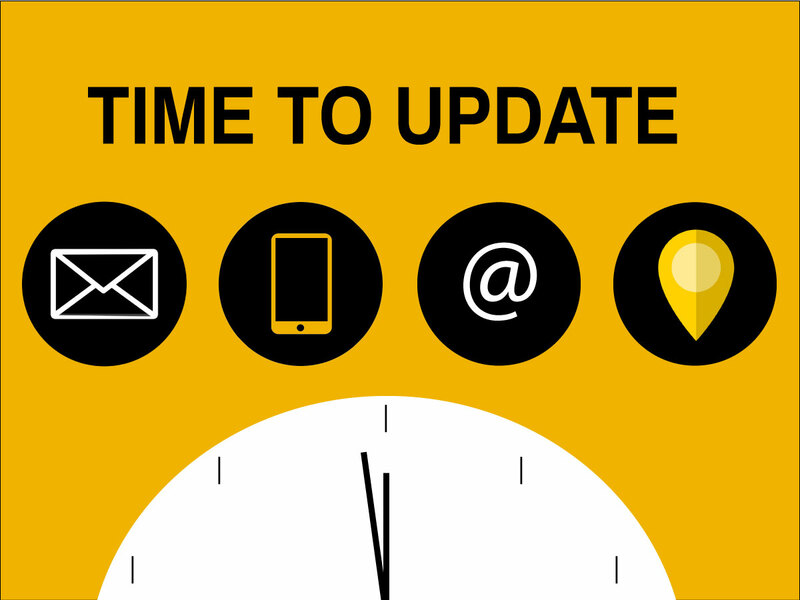 We have a full range of communications tools at the ready to close the geographic gap. We work in person, over the phone, Zoom, Skype and email to deliver our services to you where you are. Since networking and targeted research continue to be highly effective methods for finding a job that matches your skills and experience, you will find robust tools on our website to help you make valuable connections and identify potential employers and industry trends. 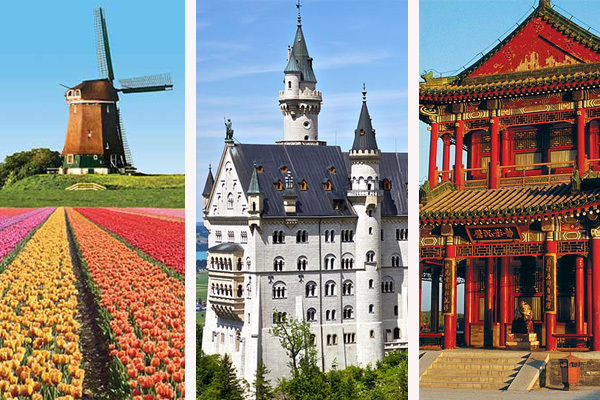 If you are looking to work abroad, our Goin’ Global system is full of job and internship opportunities around the world. Our Handshake system enables you to search for jobs, research organizations, attend regional and virtual career events and stay connected with fellow Vandals. These are just two of the many tools you will find on our site. When you signed on the dotted line to become a University of Idaho Vandal, you became part of a family. You made a commitment to the university and yourself to be a part of something much larger than any one person. You worked hard and you were rewarded with a degree. In return, the University of Idaho made a commitment to you. Career Services is just one of the many departments that have your back for life. You can learn more at our website. If you’d like to make an appointment with a career advisor, please call us at 208-885-6121 or email us at careerservices@uidaho.edu. We asked our Alumni Association directors to reflect on their time as students, and share their experience as volunteers. Q. What was your favorite or most rewarding class? Why? A. Business Marketing. It taught me to understand and meet the needs of consumers. Q. How did U of I prepare you for your career? A. U of I provided a great foundation with networking and involvement opportunities. Q. Why do you choose to serve the Alumni Association? A. I am a proud Vandal and am happy to give back and drive engagement. Q. What faculty or staff member was integral to your time at U of I? Why? A. Randy Byers and Dr. Gibb. They both modeled engagement with and worked in concert as mentors for me. Q. Share a treasured memory, either from when you were a student, or after graduating? A. Riding a horse in the homecoming parade to the steps of the Corner Club. The UIAA Board of Directors is an elected body that governs the UIAA, Inc. and meets formally three times a year. Duties of directors include managing corporate affairs, business and assets of the association and advocating for the U of I. The printed and bound alumni directory has been replaced with a free online version thanks to the professional social media platform, LinkedIn. With a network of over 50,000 alumni, you can search by name, keyword, title or company. Let your connections begin. 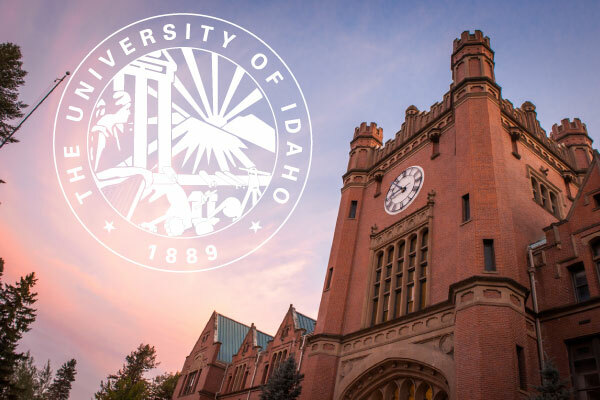 Here is a link to the news release just issued by the Idaho Board of Education naming the five finalists for the University of Idaho presidency. It was an honor to represent the Vandal Family on the search committee, and I am truly excited about the slate of candidates we ended up with. They are smart, energetic visionaries who have a passion for higher education and the great possibilities at our alma mater. Please click on the link at the bottom of the news release to see the interview schedule of each candidate and participate as you are able. The best approach is to make your way to the nearest U of I center and attend the open forums, but I understand that is not possible for many of you. In an effort to provide a uniform experience for each of our finalists, the university-wide afternoon open forums will be accessible in real time online with university credentials. Recordings of these open forums will be posted Friday evening and will be available for public viewing through 5 p.m. Pacific time Monday, March 11. And, no matter how you participate, please, please be sure to share your thoughts with IBOE members via the online portal posted on the web site. The board is planning to interview the candidates later this month and make a decision shortly thereafter. The new president will begin his/her in mid-June, and we are working hard to develop a plan that gets him/her to alumni chapter and other key locations in state and out as soon as possible. Thank you in advance for your engagement and support in this critical process. 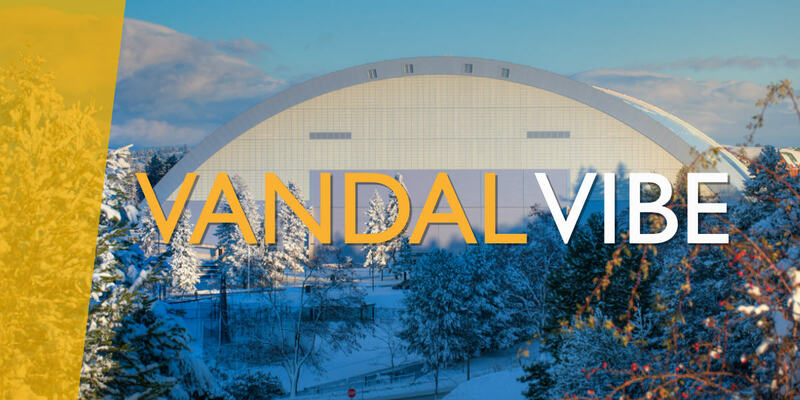 Warm regards and Go Vandals! Holly Hale always knew she was destined to be a Vandal. 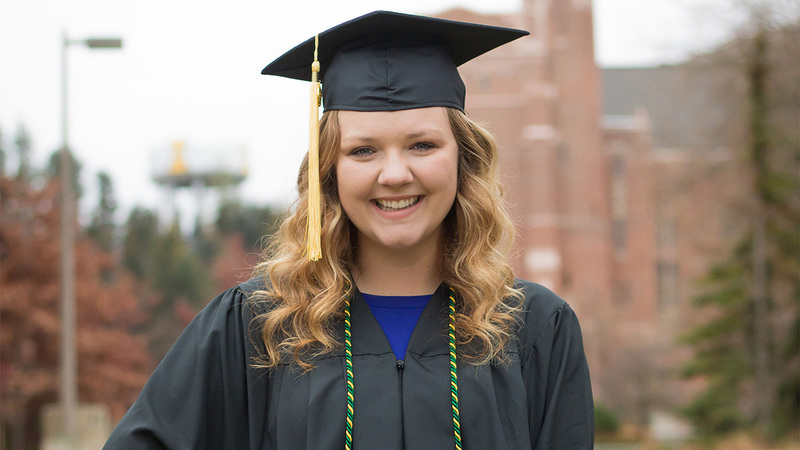 Both of her parents graduated from the University of Idaho and Hale knew early on that she wanted a career in agriculture. U of I was the perfect fit. 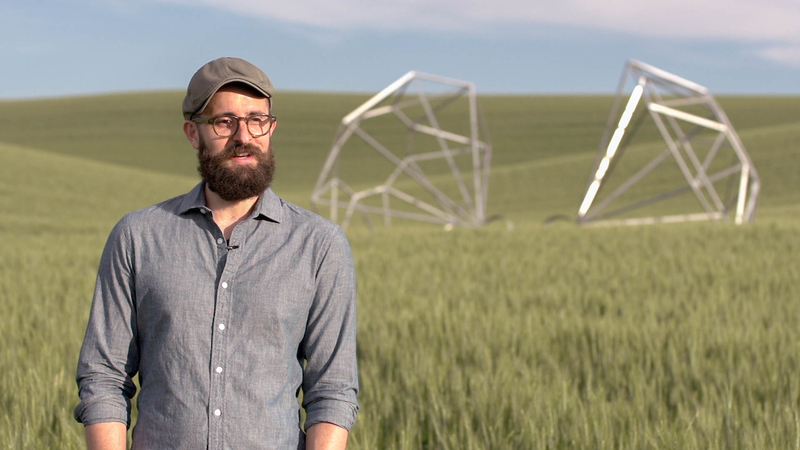 When Casey Doyle contacted a local landowner about using his wheat field to perform his artwork — or bring movement to two large-scale sculptures he made of diamond engagement rings — he didn’t know what to expect. 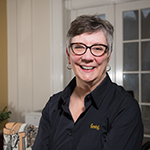 Travel is considered a continuing education program and provides alumni and friends an opportunity to learn more about the University of Idaho and the benefits of being a part of the Alumni Association. The program affords participants the chance to maintain contact with the university while learning about international and domestic locations among the camaraderie of fellow alumni and friends. The snow is belly-button deep at my house, and more is on the way. The temperatures are frigid and the sky is gray. The dogs have started to run the opposite direction when I call them to go outside, and frankly, I don’t blame them. So, what better time to do some heavy duty, armchair travel? With a glass of Vandals Uncorked wine and a laptop, I love cruising the Vandal Voyager website to dream about the possibilities of visiting warmer climes and different destinations. 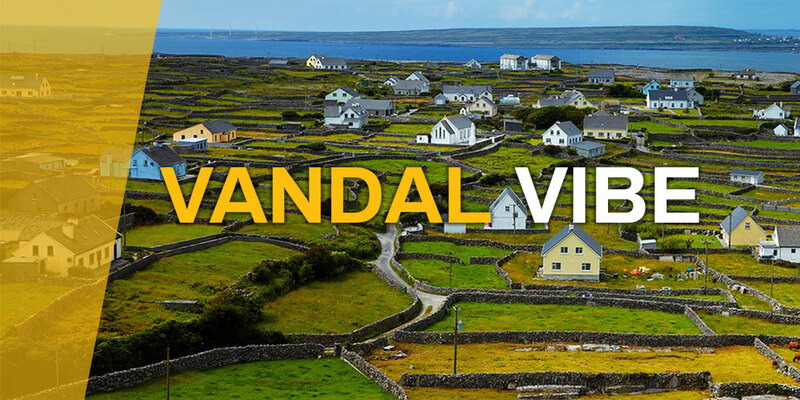 The Vandal Voyager Travel Program was created decades ago to provide alumni – lifelong learners, of course, because they were educated at U of I – a way to see the world with their fellow Vandals. 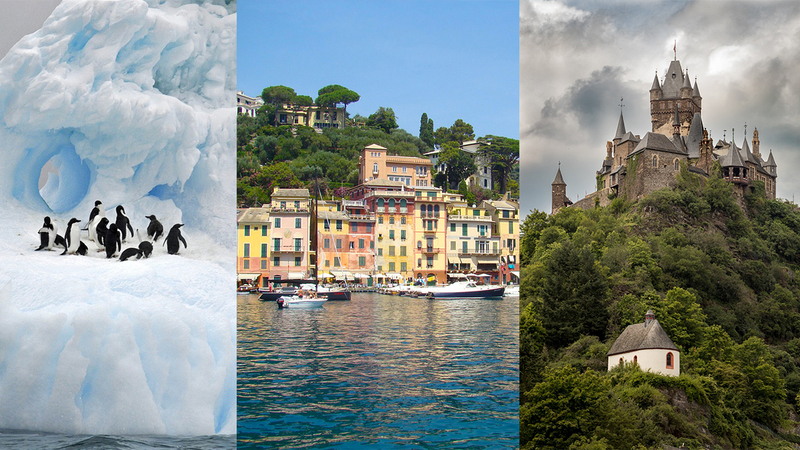 The Office of Alumni Relations works with professional travel providers to pick trips that open the door to exotic and exciting locations in country and out. This year, for example, you could immerse yourself in the culture of the southern U.S. with a river boat cruise from Memphis to New Orleans. Or, how about spending a week in Tuscany, feasting on delicious Italian food and wines? There’s an opportunity to cruise the Nile and see the Pyramids or travel the Mediterranean from Rome to Barcelona. Traditionally, most of the excursions have been cruises, and those are still a great option. We are expanding, however, to include more land-based trips. We also are exploring trips designed specifically for those interested in service learning – that is, working on a project to benefit the country you are visiting. In 2020, we will offer a European trip specifically designed for new grads – what a great graduation present that would be! Personally, I have my eye on the July 2020 trip to Ireland. Thoughts of touring the Emerald Isle, tipping a pint of Guinness and enjoying some Celtic cuisine and company may be just enough to get me through this winter. And, I didn’t even have to pack a suitcase. The Idaho State Board of Education will conduct interviews this week with presidential candidates. The interviews will occur in executive session at the Board Office at 650 W. State Street, Boise on March 14, 2019. A fifth University of Idaho finalist, Paul Tikalsky has withdrawn from consideration.The Board’s intent is to name new presidents at both institutions by April. These statements have been taken from a SBOE press release issued March 11. Logan Heflin discovered studying abroad is about much more than exploring a new country — it enables lifelong camaraderie, eliminates cultural barriers and provides people with a broadened perspective of the world around them. 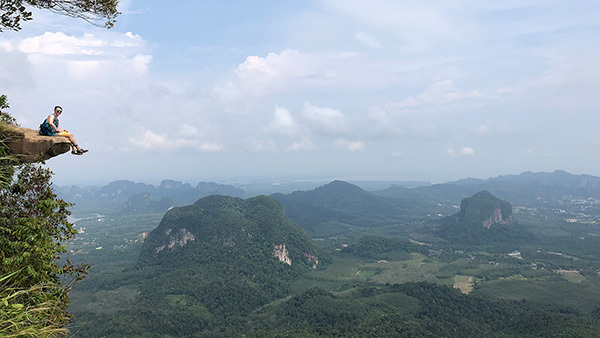 A sophomore at the University of Idaho majoring in biotechnology and plant genetics in the College of Agricultural and Life Sciences (CALS), Heflin spent fall 2018 studying at Mahidol University in Salaya, Thailand, just west of Bangkok. We caught up with Alumni Association directors and asked them a few short and sweet questions about their Vandal experience. 1. What was your favorite or most rewarding class? A. Geology of the North West. I found if fascinating. Knowing about the ground below us - how it formed and its attributes helped me greatly. 2. How did U of I prepare you for your career? A. Teaching me how to interact with people. I wasn't aware of the power of language. I now know it's importance and use it to be a high functioning communicator. 3. Why did you choose to serve the Alumni Association? A. It's an honor to be asked to serve this institution in this manner, and the people are a whole lot of fun - always have been. 4. What faculty or staff member was integral to your time here? A. Mickey Gunter (distinguished professor emeritus, department of Geology). On every test he made us answer this question "Where will you not build or buy a house?" The answer was "in a floodplain." 5. Share a treasured memory as a student. A. Being able to finish classes and still go play in the woods on weekends. I did this like a religion. Vandal Theory Podcast: How is climate change affecting Idaho's natural landscapes? How about those Vandals!? On the basketball court and off, these young women are true points of pride for the entire Vandal Family. On the court, the team’s numbers tell part of the story: 16 wins and 4 losses in Big Sky play, 22 wins, 11 losses overall. Records set for number of three-point shots, highest scores. But those stats don’t do justice to the excitement these young women generate, especially the “Splash Sisters” Mikayla Ferenz and Taylor Pierce. Mikayla is Idaho and Big Sky All-Time leading scorer; two-time First-Team Academic All-American; 2019 Division I Academic All-American of the Year - the first Vandal to earn the honor, and first woman in Big Sky history. Taylor is lauded for making the most three-pointers in a season in NCAA history. When the pace reaches its peak and the three-pointers start flying, the entire team epitomizes the best of Vandal Spirit. Off the court, they are just as stellar. Five members of the team have a 4.0. They are earning their degrees. They all participate in a Reading Buddies program at St. Mary’s Elementary in Moscow. And that is in addition to meeting the demands of playing at the intercollegiate level. Congratulations and a huge shout out to Big Sky Coach of the Year Jon Newlee, as well, for leading these players to such an amazing season. He has coached and mentored literally hundreds of young athletes; his success is our success. The team plays Arizona in the Women’s National Invitation Tournament Sweet 16 tomorrow at 6 p.m. (Pacific time). I hope you’ll join me – wherever you are – in watching the game, wishing them well and celebrating their victory. Joelle Stephens has always been fascinated by the human body. 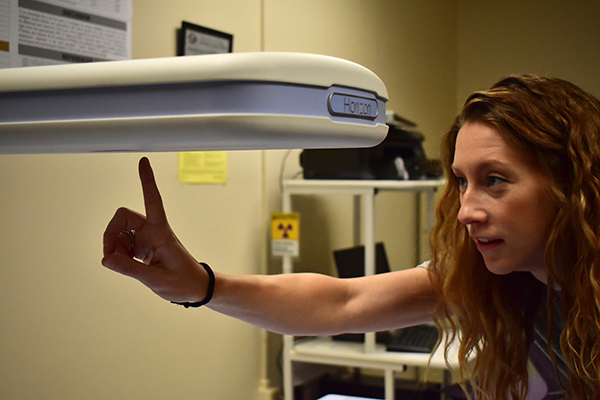 So much so, the 21-year-old Moscow native decided to dedicate her life to studying it and hopes to become a registered nurse after graduating from the University of Idaho this spring. 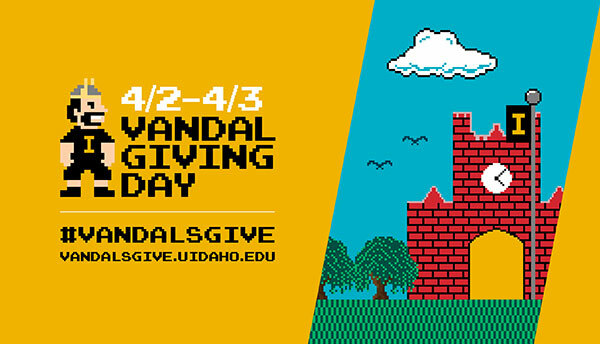 On Tuesday, April 2 and Wednesday, April 3, the University of Idaho community will come together for a 1,889-minute (31.4 hours) online giving celebration. This event will supercharge the Vandal family around giving back to the institution and providing support for our students. A. AgEcon 101. It was my first class of my freshman year; I did not do well in it, but loved it anyway. A. It challenged me to push through the tough classes. It taught me extremely valuable social skills and it instilled in me the value of "community." A. It's a passion of mine to do my part to improve the university. A. Dr. Larry Makus. He was so helpful as both my undergrad and graduate major professor. He went the extra mile to ensure I was successful. A. Establishing and leading Boise's first Graduates of the Last Decade (GOLD) group. Our alumni committee had so much fun creating social functions and engaging with young Vandal alumni. 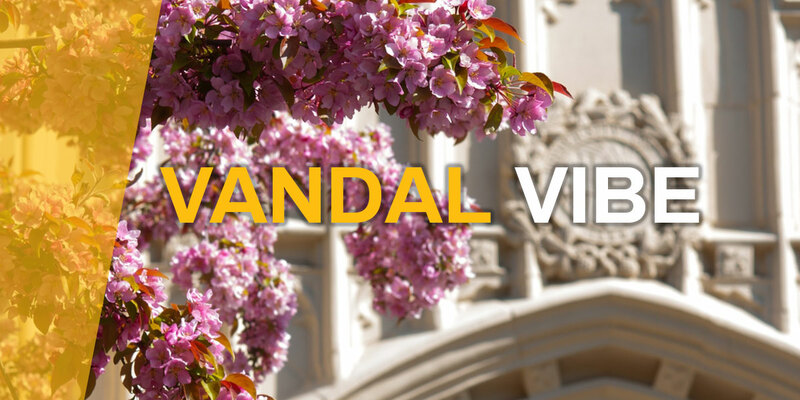 Being a member of the Vandal family means you have access to a range benefits and services, from lifetime career services to our online book club. But did you know U of I also offers free resources to help you make a lasting impact on what matters to you? 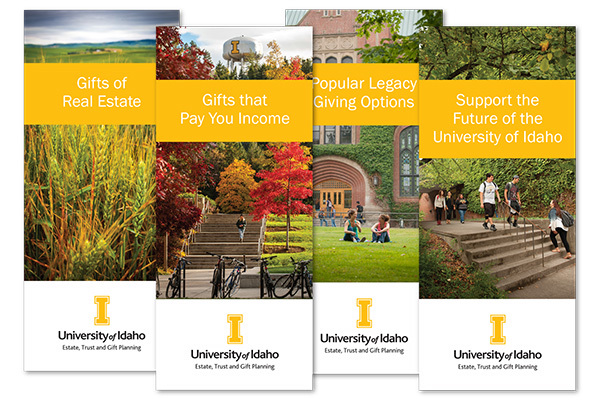 To learn more about how you can create your U of I legacy, request a brochure and sign up for occasional emails with stories and supporter information. The very best part of serving as alumni director for the University of Idaho is the opportunity – and honor – to meet and hear the stories of my fellow Vandals. This past week, with the Latah County Silver and Gold Award Celebration, Golden I reunion and Moms’ Weekend, was full of amazing stories about the impact our alma mater has had on the lives of its alumni. Take the story of Ramesh Kumar, for example. Dr. Kumar ‘82 received the U of I Alumni Association’s Silver and Gold Award last Thursday to honor his professional achievements as a chemist at 3M Company in Minnesota. He arrived in Moscow the summer of 1978 to pursue his Ph.D. in fluorine chemistry in the lab of U of I Distinguished Professor and internationally known chemist Jean’ne Shreeve. He had used the $7 in cash he had with him for life necessities, and then found out he needed to buy a calculator. It cost $25. Dr. Shreeve footed the bill, a kindness that Kumar has not forgotten. 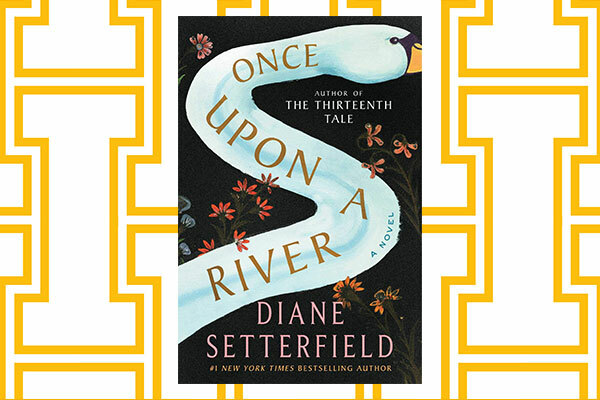 He credits her with teaching him the value of hard work, of diversity of backgrounds and ideas, and of self-reliance. 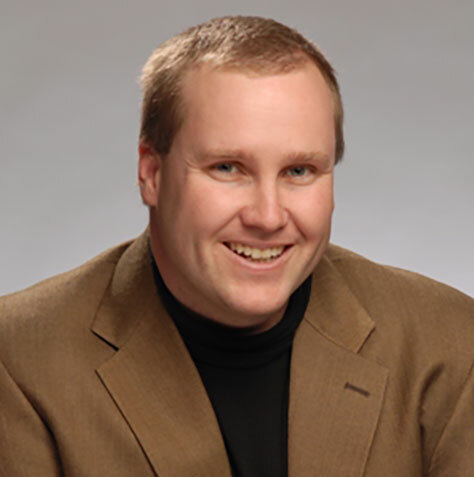 Another Silver and Gold Award recipient, Eric Roberts ‘05, shared his story about how the kind guidance of architecture faculty member Bruce Haglund changed his life and led to the success he enjoys today as a leading architect in Las Vegas. He was accepted to the university, but not into the architecture program, but was told he certainly could talk to someone about getting into the program. Roberts and his wife, Cathy, piled into their Kia Sephia with his portfolio in hand and drove through the night from Salt Lake City to Moscow. It was June and campus was empty, but then-architecture department Chair Haglund was in his office and took the time to visit with the aspiring architect. Roberts didn’t leave that meeting with “a Golden Ticket from Willy Wonka.” Earning acceptance into the architecture program would take a lot of hard work. But, he said, he did leave with hope and a concrete plan to fulfill his dream. Then there were the stories of the Golden I reunion attendees, those who graduated 50-plus years ago. Members of the Class of 1969 – including many members of the Delta Sigma Phi pledge class of 1965 – each shared the memories that will forever tie them to this university: a special professor, a makeshift cannon fired at football games, the opportunity to become a military officer and many more. Each tale is different, and yet, there is a common theme that runs through them all. Every Vandal has that special person, group, event or place at the university that helped transform their life, and that is a story worth repeating. We want to hear about your U of I story. 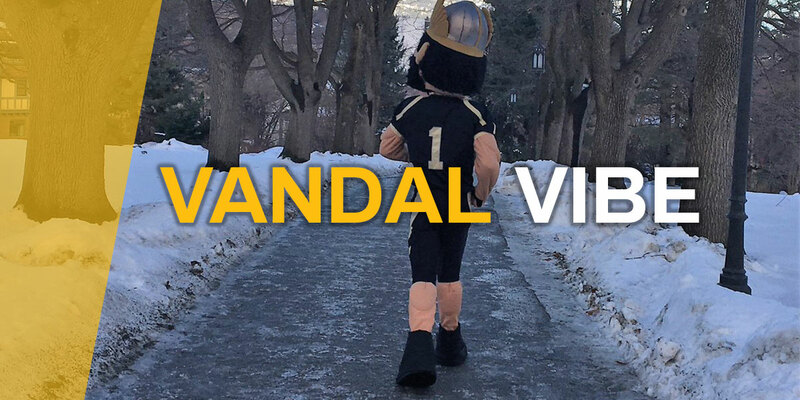 Tell us about the moment, person or activity that was integral to your college experience, and let us know if we may share it with the Vandal family. 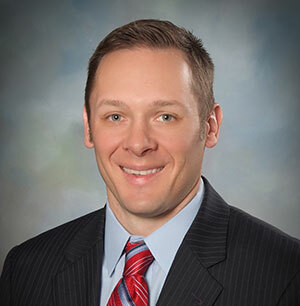 The Idaho State Board of Education will meet at 10 a.m. Pacific time on April 11 via conference call, initiated by board member Don Soltman in the Gary Michael Boardroom of the Albertson Building at the University of Idaho, Moscow. This meeting is to consider a contract and hire the next U of I president. It is an open meeting. Remote access is available by calling 877-820-7829, participant code: 9096313. 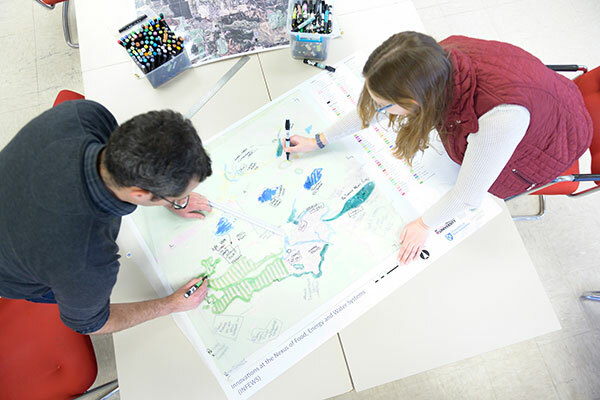 In a changing world, U of I has a hand in sustaining the state’s resources by designing landscape and site-scale models. It’s not hard for Kathryn Frostenson to imagine her hometown of Jerome — part of Idaho’s agricultural epicenter — in the throngs of some pretty hefty changes between now and 2050. A. My most rewarding class was Jazz Choir I with Dan Bukvich. Though it wasn't a class I needed for my major, Dan taught me so much about how to be a passionate professional. A.U of I gave me the tools to succeed in my career, bit it also made me excited about my career path. It's where my passion for my career began. A. As a young alumna, I don't always have the ability to donate money like I'd like to. Instead I've chosen to donate my time to help make our university the best it can be. A. Dan Bukvich - hands down. He has influenced my life immensely because he taught me things like "If you can't get out of it, get into it." A. One of my favorite memories is in jazz choir, singing with 1,000 other voices every year at the holiday concert. Join 99 other Vandals and their families for a day on the water. 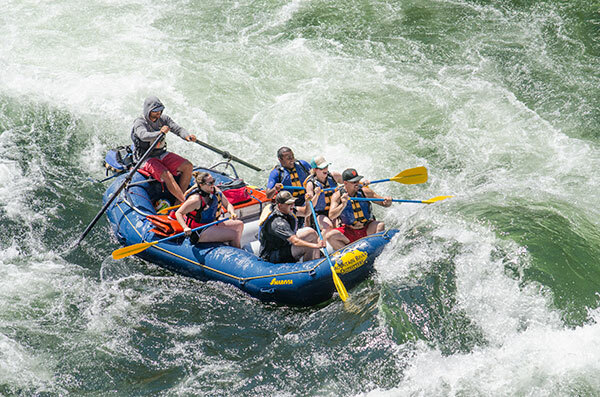 July is one of the best times to enjoy the water, take in the beauty of Idaho and connect with other Vandals from around the state. Registration is capped at 100 people, don't wait to RSVP.